The Oregon Files is about an independent Intelligence corporation. The word Files relates to the cases that this organization conducts. The Oregon is a rusty tramp steamer, barely able to ploy its low-paying trade as it scrapes a meager earning traveling about the world carrying whatever cargo a desperate shipper might trust to a ship not guaranteed to sink at any moment. That is above deck. Below, it is a state-of-the-art intelligence gathering marvel armed with torpedoes and missiles. It is owned and crewed by the group known as the Corporation, a team of highly trained professionals who describe themselves as "mercenaries with a conscience". These people make their living performing nearly impossible jobs for countries of the West who find it better for deniability to not use their own services. Lead by Juan Cabrillo, the team lacks little in comfort as they risk their lives on a daily basis. A world-class chef works in unison with a skilled doctor to keep the members well-fed and trim. The perks are needed to offset the considerable danger the crew, each part owner of the company, face on each mission. The concept for each mission is simple and straightforward. Hired by some agency of a Western power, the team of the Oregon will sail into a harbor or dock at a port or just meander slowly along a shoreline, whatever it takes to get the mission done. The mission may be to collect intelligence or to extract someone or to recover a stolen or lost item. The crew is varied enough in skills and training that virtually any task an operative might be asked to do can be handled. Since these people put their lives on the line with each mission and since it is a for-profit corporation, the fees are impressively high. This means that the Oregon is not hired from just any job. It has to be very dangerous or very tricky to warrant the expenditure they charge but they usually pull it off. 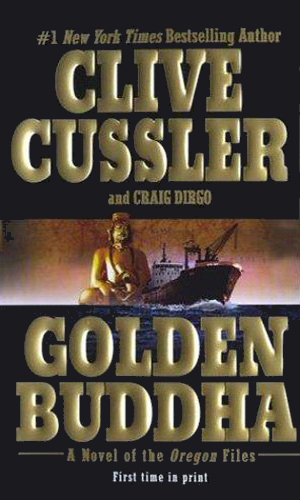 The finding of an ancient statue called the Golden Buddha is vital to the Oregon's task of returning the Dalai Lama to a position of authority in Tibet. The recovery of a radioactive meteorite, first discovered a thousand years ago by Vikings, plays a vital role in a mission which also includes the hunt for a nuclear missile and the protection of an arab Emir visiting in Iceland. 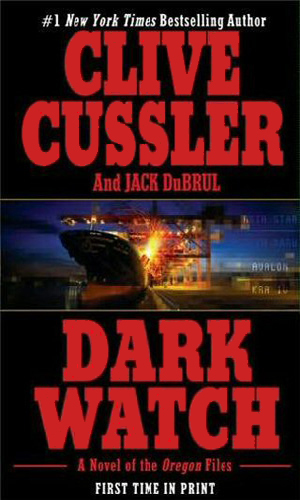 A group of Japanese shippers hire the Oregon crew to get to the bottom of a rash of pirate activity severely harassing their trade. Soon the matter intensifies as the danger from North Korean missiles becomes very real. 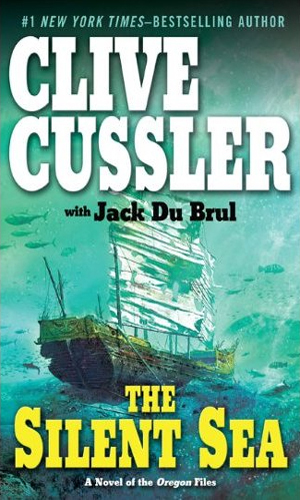 Responding to a distress signal from a small ship off the western coast of Africa, the Oregon crew becomes involved in a search for a sunken ship with a fortune in diamonds onboard, possibly guarded by a giant sea snake. 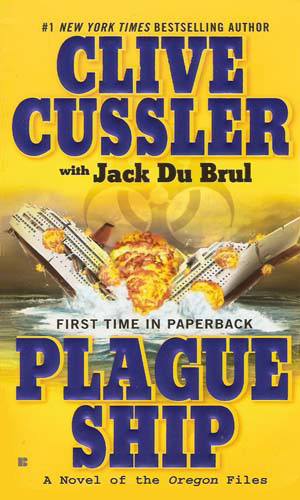 Leaving the Persian Gulf after a secret mission, the crew of the Oregon discovers a cruise liner adrift, hundreds of passengers onboard dead from a horrific virus. 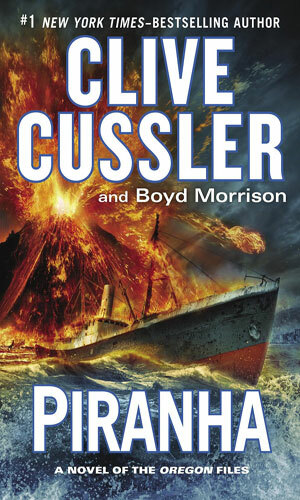 The crew of the Oregon must help track down a plane carrying the Secretary of State. The plane disappeared over Libya and that government is being less than cooperative. The team are in Argentina searching for a lost satellite when Cabrillo makes an astonding discovery that sets off what seems an ancient curse. The Philadelphia Experiment has been an urban legend since WWII but now the crew of the Oregon learn of a major weapon from those days associated with inventor Tesla and considered still quite deadly. Though Cabrillo and his team did a very good job faking the sinking of the Oregon, someone has found how to track it and that person is using technology from a century before, lost supposedly forever in volcanic eruption. 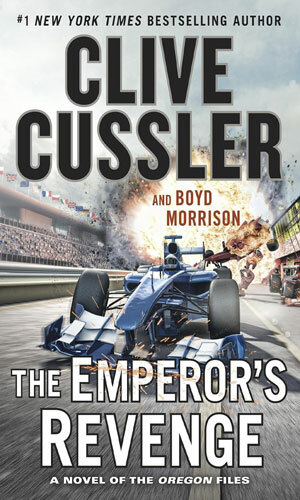 The horrific bank robbery during the Monaco Grand Prix had one disastrous side effect for the crew of the Oregon - the Corporation's accounts were wiped out. Now the intelligence group has a new target. The Corporation is hired to track down a half billion dollars worth of paintings. What they find is a Filipino insurgent group using the artwork to finance their rebellion. They also find a South African mercenary with his own goals which are not aligned with the Oregon. I've always preferred books about individuals, only enjoying a team book when the people really are a team and the Oregon crew definitely qualifies. This is not a case of a superstar with a few gofers. These people really work as a team. Juan Cabrillo is certainly the leader and the stories revolve mainly around this character but you get to know and like many of the others. I enjoyed the first two books a lot. 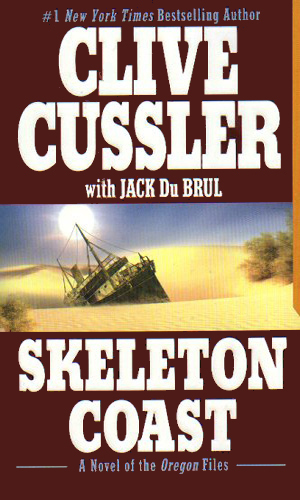 I really enjoyed the next few because I've been a huge Jack Du Brul fan for years. 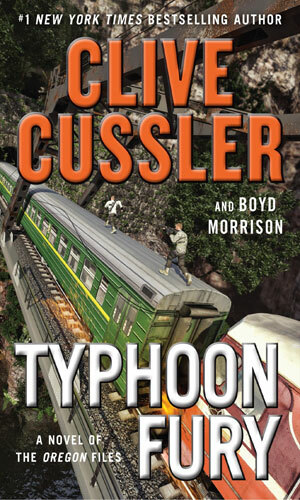 In fact, my only complaint about his writing Oregon stories is it keeps him from crafting more Philip Mercer adventures. 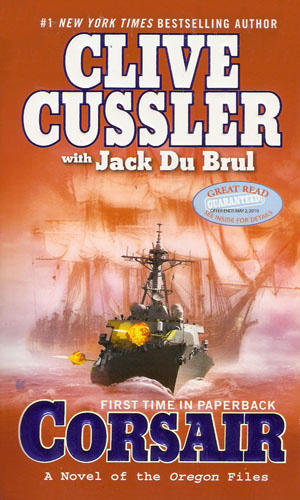 It seems obvious that Mr. Cussler wanted to create another series what was substantially different from his first two but which still used the oceans as the principal setting. He succeeded handily. I look forward to more tales of the Oregon (actually Oregon II now but you need to read the books to understand). 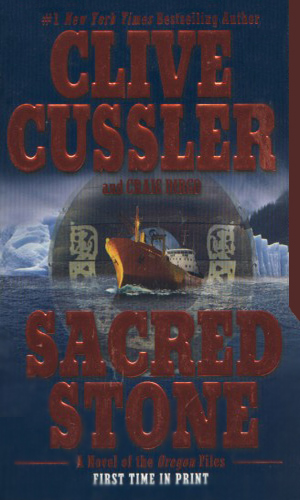 I like all the series by Cussler, but the Oregon Files really grew on me fast with it being both land air and sea based story plotlines. Something about the Oregon Files has always grabbed me. I think the teamwork formula makes it stand out from all of my other guys I follow. 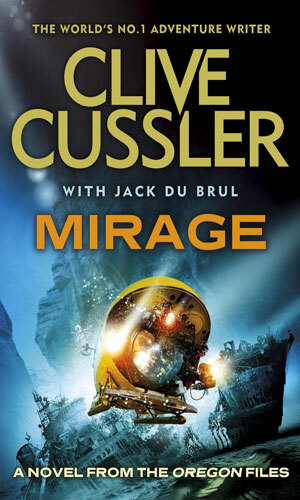 I like du Bruhl, and admired the Mercer series, but I cannot get into these, the characters feel stamped out of metal and the plots neither absurd enough to be fun or believable enough to generate suspense. 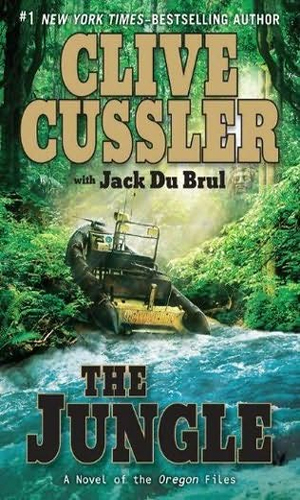 I enjoy all of Cussler's other series, but this is too much like Doc Savage at sea to hold me. I prefer my heroes to beat incredible odds, not overwhelm their enemies with their own superior force. This one sprained my willing suspension of disbelief.